Since 2014 HUUB have pioneered the sleeved tri suit. By creating a harmony of fabrics, coatings and tested designs they can now offer what they believe to be the perfect alternative to their multi award winning top of the range long distance tri suit. 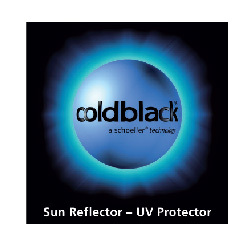 Coldblack® technology guarantees a minimum UPF 30 protection when applied to any textile in any colour without affecting the look or feel of the product. Low friction, lower weight, lower fluid and heat absorption combined with a fit pattern unique to HUUB we felt the days of research and testing have created a garment you'll never want to take off. HUUB Core Long Course Tri Suit is rated 4.4 out of 5 by 5. Rated 5 out of 5 by Ski77 from Great quality Not used the suit in anger yet but the quality is self evident, cannot wait for the weather to pick up! Rated 5 out of 5 by LukeGyldendorf from Very comfortable! A truly bold suit with plenty of focus on comfort and aerodynamics. I can not find any errors in it - perhaps a little too high price. Rated 3 out of 5 by ScottLopez from Did the job, bit too pricey in hindsight Bought for first standard distance. Did the job, however, the fabric is a bit flimsy and goes sheer when stretched. Bit of an issue on the bike so I hear. Does this suit have a guard between zip and athlete's body? What size for very tall and slim male? I'm 6ft6 and 80kg. Chest is 38.5&quot; and waist is 33&quot;. I want it tight but the most important measurement is the length from crotch to shoulders so it isn't too restrictive. But this is never given and suits long enough for me tend to be made for bulkier people than me. why is your size chart different from the huub website? a large would fit me at huub but a medium at wiggle , i would guess that huub would be correct ,need to know before purchase. why should it be different? Sorry about the mix up, we've attached a size guide and we'll have ours amended.